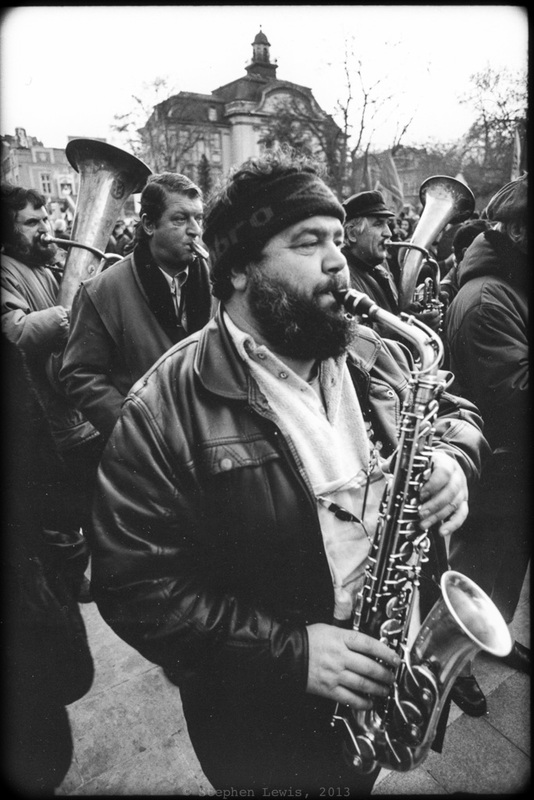 Musicians marching in protest demonstration, Plovdiv, Bulgaria, January,1997. (Scan of print, Nikon F3, 35mm f2.0, Tri-X.) Click on image to enlarge. Antecedent to my previous post: In the winter of 1996-1997 the Bulgarian Lev plummeted, store shelves emptied, and the prices of food and utilities soared beyond the means of most people. Weeks of protests ensued.